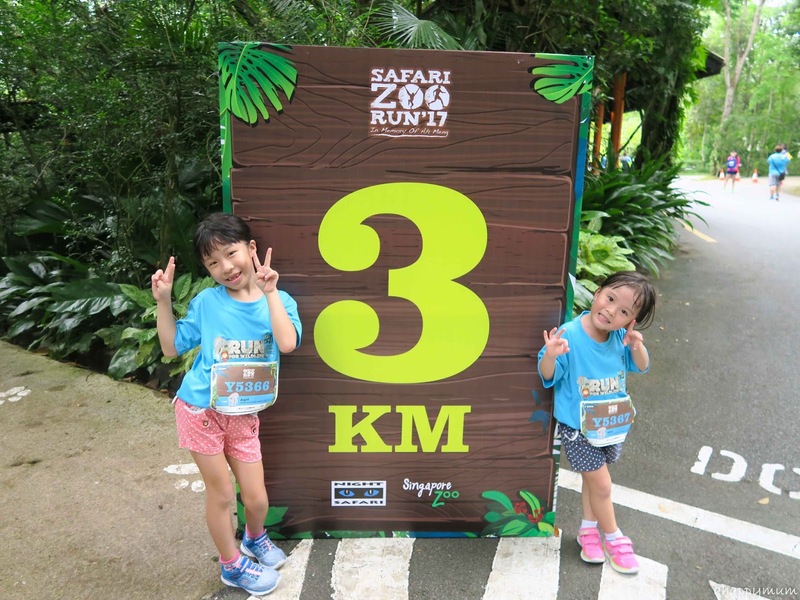 We were very excited to be participating in our favourite family run last weekend and that was the Safari Zoo Run 2017! 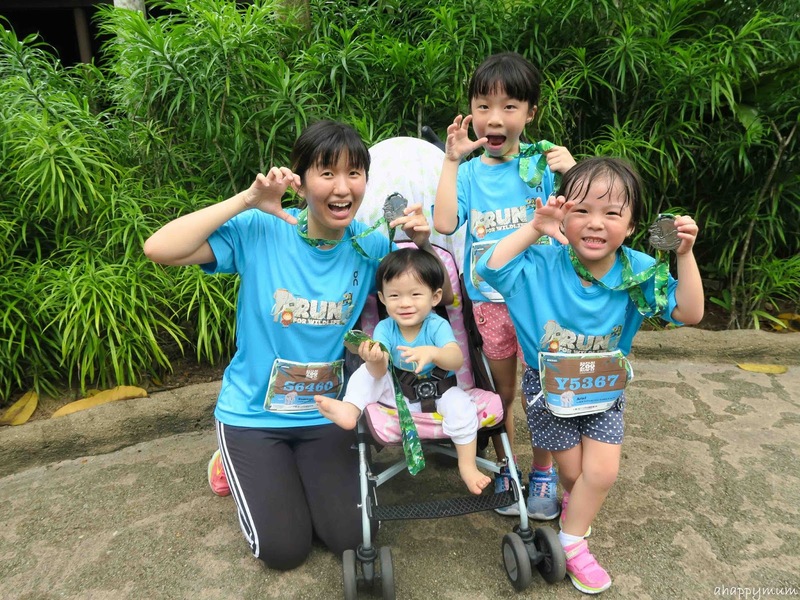 It was a milestone for us because this would be the first time we were running as a family of five! Yes, the baby got to join in the fun too and even though he can't walk yet, much less run, at least he could be in the stroller and enjoy the whole journey with us. We have joined numerous family runs over the past years and I love them because they help to instill resilience and determination in the kids and encourage us to push beyond our limits. 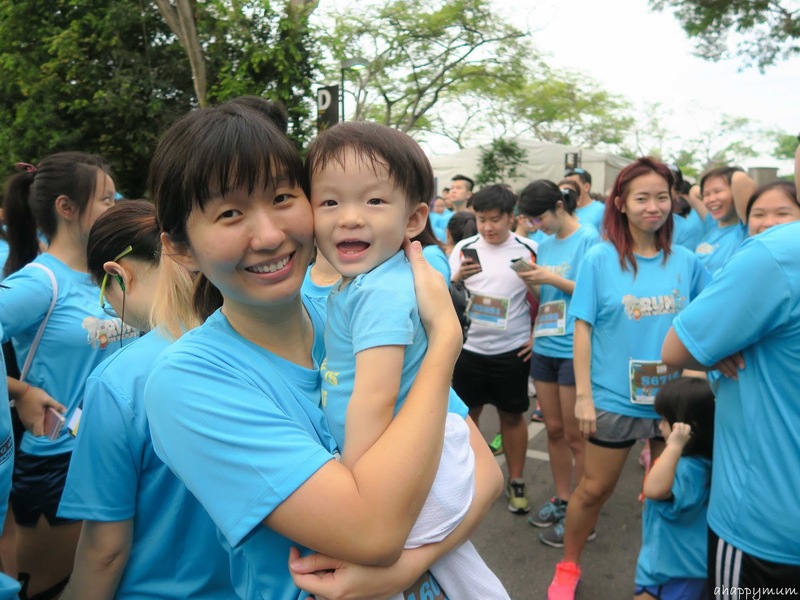 Read our interview with Young Parents on why we love running here. But why is the Safari Zoo Run our favourite of them all? 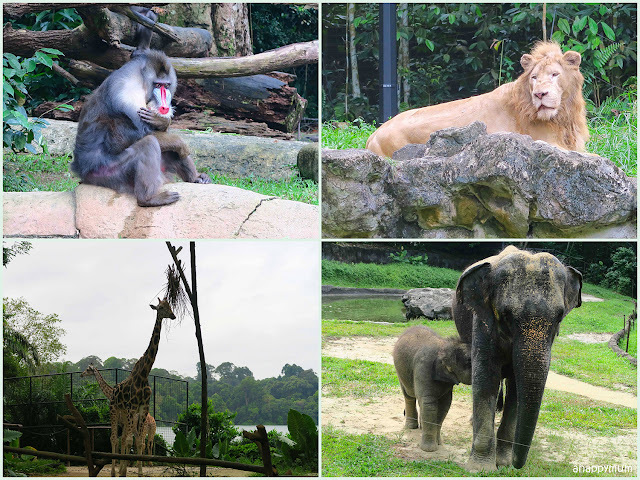 Well, let's just say as Friends of Wildlife, our family really loves to visit the Singapore Zoo, River Safari, Night Safari and Jurong Bird Park (which will be relocated to Mandai by the year 2020). 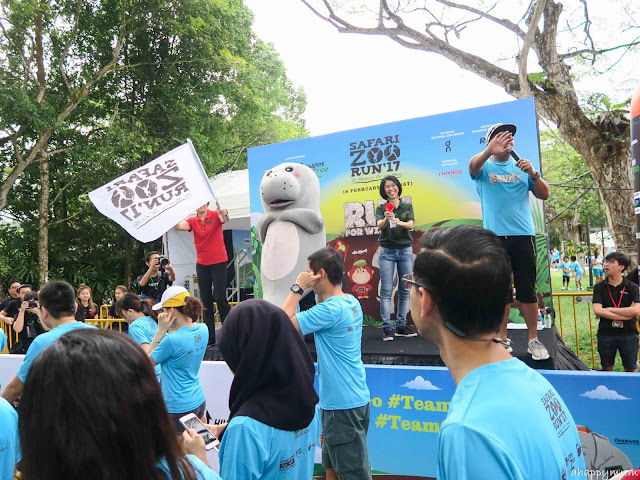 The Safari Zoo Run gives us the opportunity to run for a good cause and be able to come up close with the animals while staying fit, bonding and making memories together as a family. 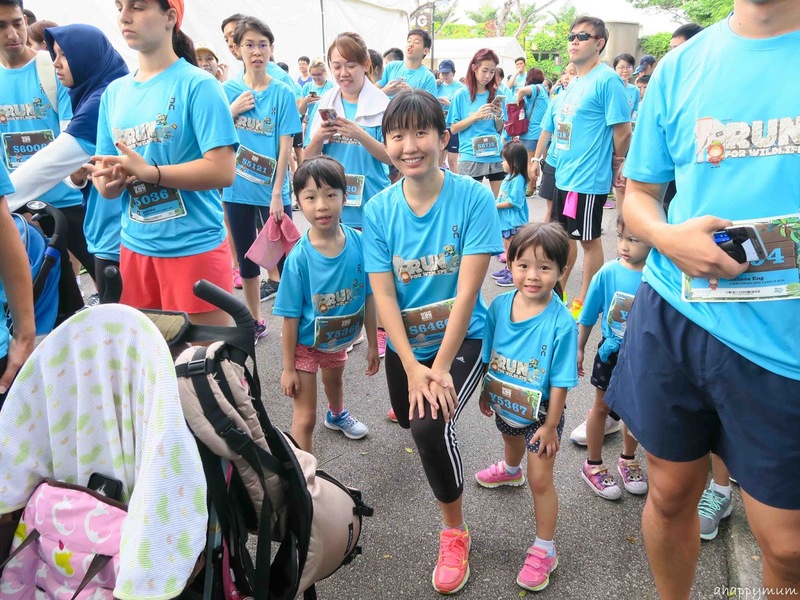 This year, we decided to break the record by joining our longest run yet - the 5.5km Family Run. 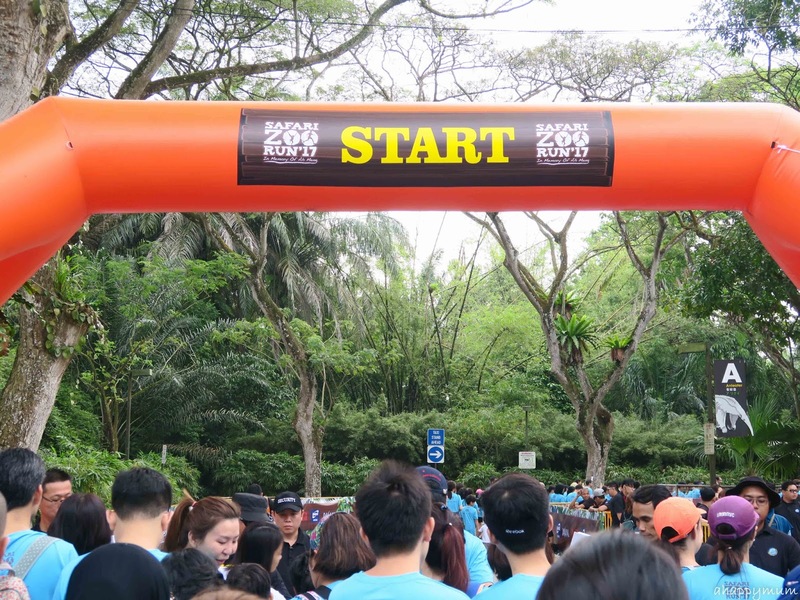 You read right, it's 5.5km! 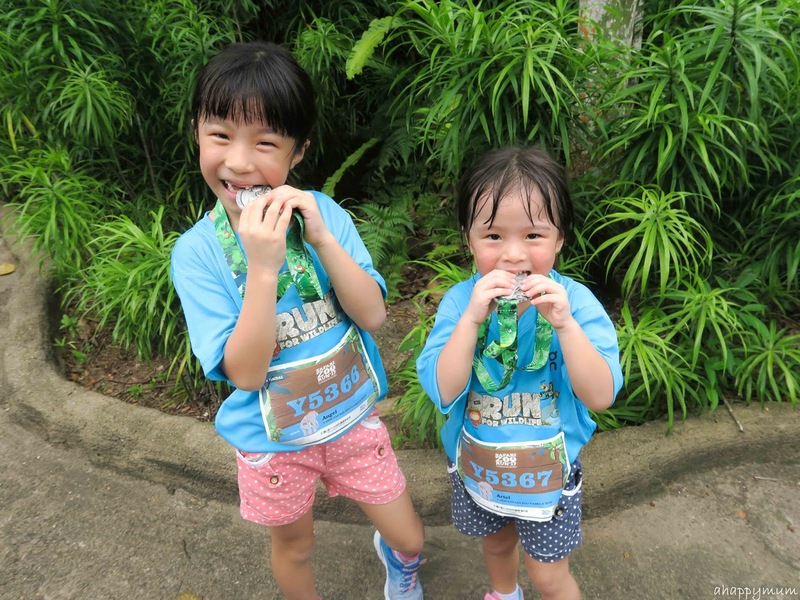 I've no doubt my kids will not be able to run continuously for that long a distance (because I likely can't too after having three kids) so instead of telling them to never give up and don't stop, we took a different approach this time round. 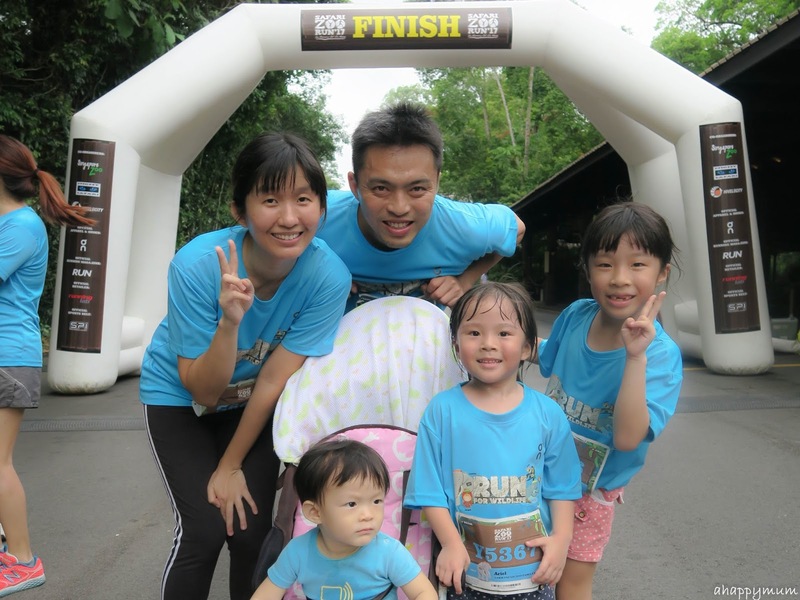 We could stop, we could admire the animals, we could drink water, we could take pictures, we could walk, but we would still try our best to run and make sure we reached the finishing line as a family. The theme for this year's run is "Run For Wildlife" which focuses on raising awareness for wildlife conservation. 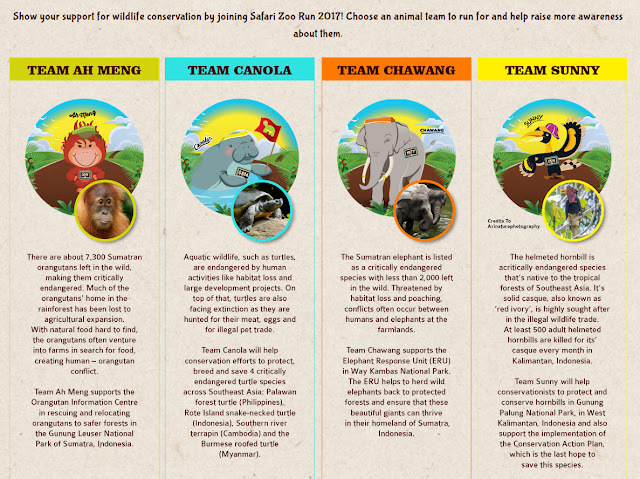 There are four animal icon teams - Team Ah Meng, Team Canola, Team Sunny and Team Chawang - and you can pick which animal team you would like to support and help raise awareness for when registering for the run. 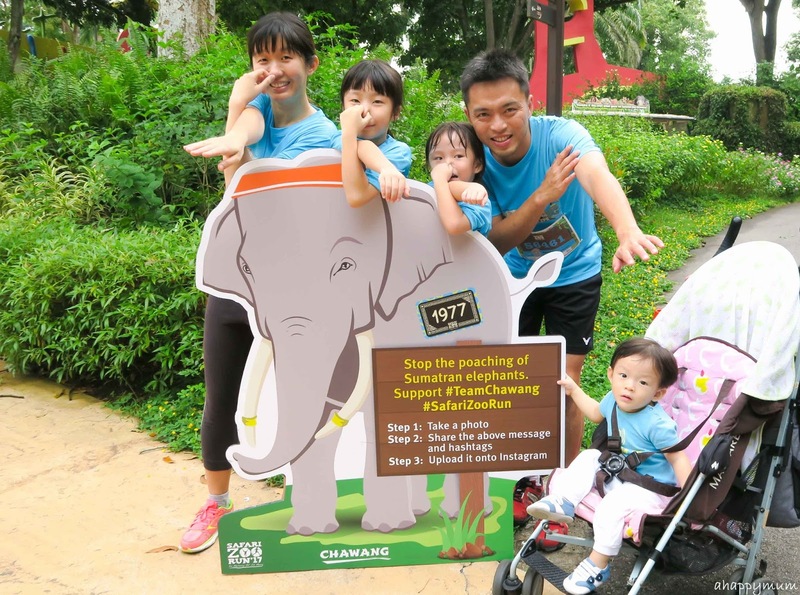 We wanted the whole family to be on the same team so we had a brief discussion but it didn't take long before we came to a consensus - all of us agreed to be on Team Chawang! Yes, we've seen Chawang many times at the Night Safari and I remember once when we passed him by on the tram, he looked up at us, nodded his head, made all of us smile and it became such a memorable moment. On the day of the run, we sprang out of bed early and left the house just after the sun rose. I was feeling thankful and glad for the great weather because it would have been a bummer if the run had to be cancelled. 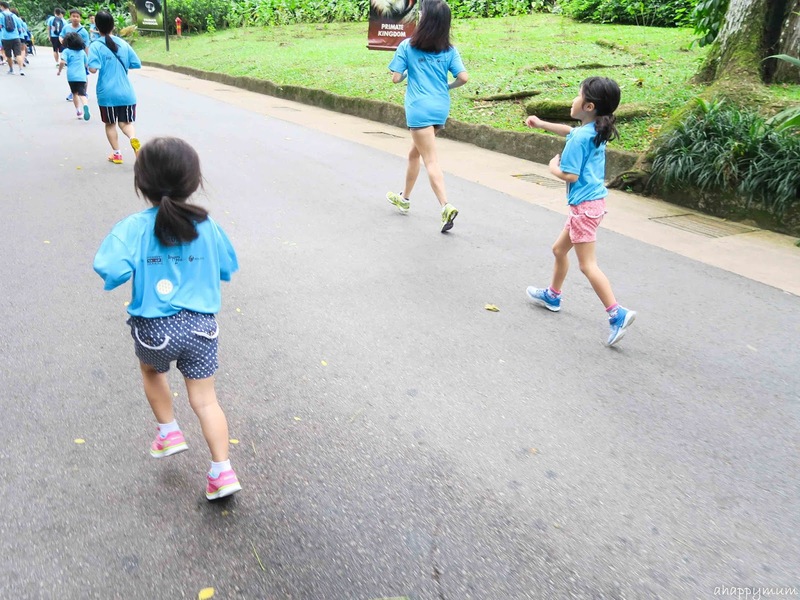 While doing our warm up and waiting for the race to be flagged off, I realised that we forgot to bring the mosquito repellent and yet I had dressed the girls up in shorts! Oh dear. Oh well. We just had to move on and hope that the mosquitoes would spare them - even though we knew from experience that it would be unlikely. We waited for a good 20 minutes or so before the horn finally sounded! Yesh, time to take off! See the very cute Canola who helped to flag off our race? Awwww. The path was a little congested at the start but once we got to the wider roads, we started running! Okay, I think jogging was actually a more appropriate term. For the first 1km, I had to run with a baby against my chest before he was feeling a little overwhelmed and didn't want to sit in the pram. 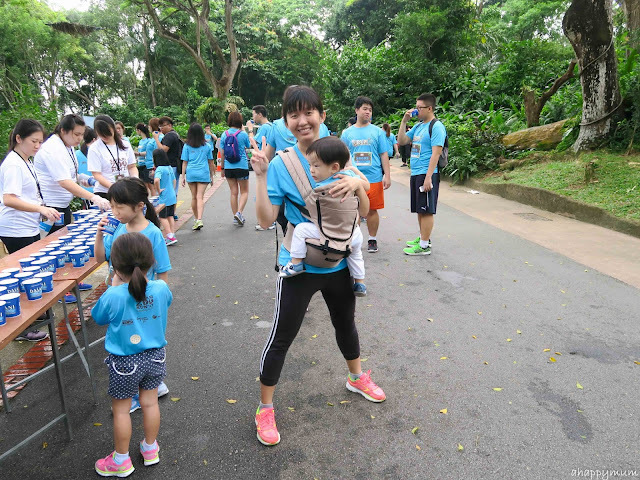 I was so thankful that we brought along our baby carrier! Phew! I was also very relieved that the hubby could join us because guess what, he came home past 6am from work so he was very much exhuasted yet made the effort to be with us. 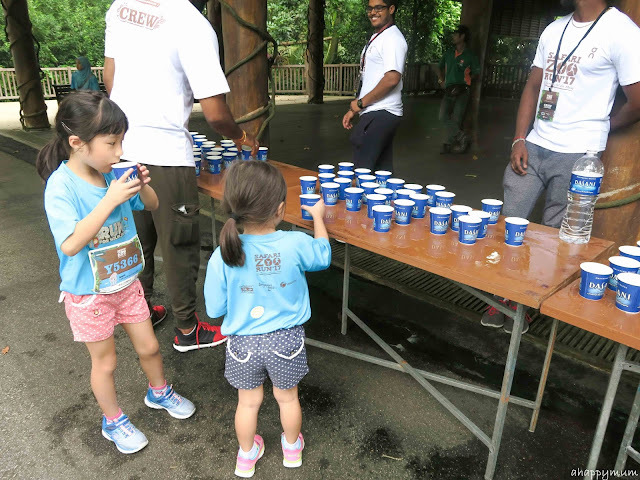 There were several drink stations set up along the route for runners to quench their thirst and replenish their energy. This thrilled the girls and so we would take a moment to catch our breaths every time we passed by one. Thankfully, at the first station, the baby was happy to play with an empty cup and sat down obediently in his stroller - and remained there till the end of the race. Yes, that meant he sat for over an hour eventually which allowed me to better enjoy the run with the sisters. Yippee! So we ran. And we ran. And we ran. The breeze was blowing. The leaves were rustling. The air was cool and crisp. 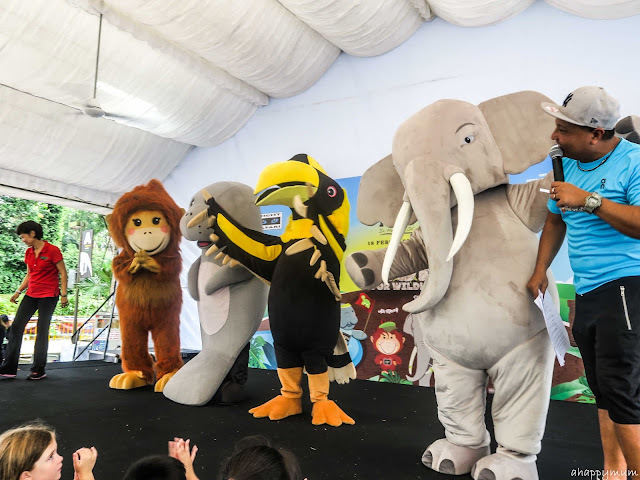 The animals were beckoning. It was the perfect place to spend a perfect Saturday morning and I couldn't have thought of anything better to do. 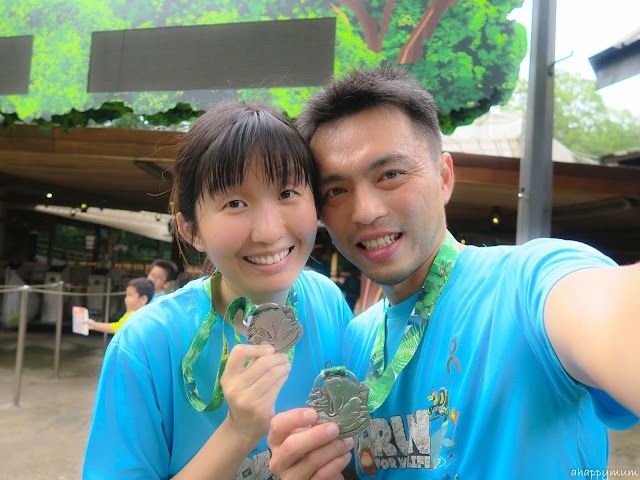 The hubby said to me "You need this run", and although he really meant it because I haven't been exercising much (actually, I don't exercise at all but I do consider walking to fetch the kids, pushing a stroller of groceries and carrying a 10kg baby very good workouts), I kind of felt that I needed it because we haven't been spending much quality time as a family together. This run gave us the opportunity to do so and in fact, it was a full day of bonding with the kids at their one of their most-loved places in Singapore. 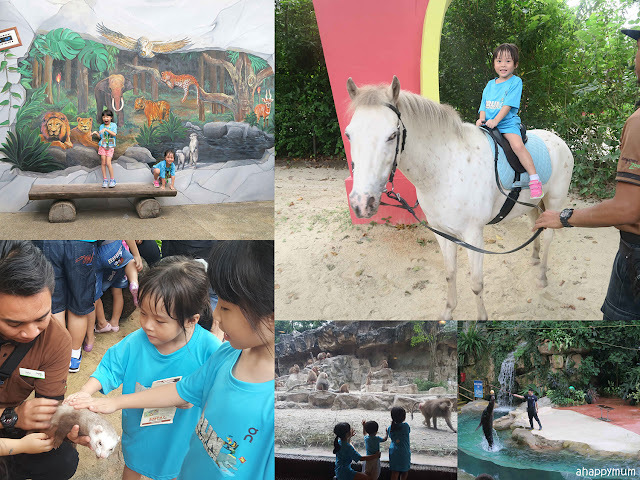 We also made many stops along the way to interact and admire the beautiful creatures because it is always a joy to see them in such close proximity. 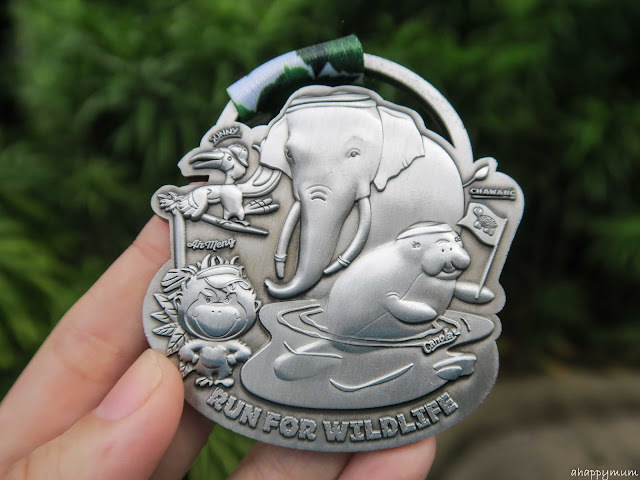 Due to the vast space of the zoo, it didn't feel like we had to jostle or squeeze with the other runners at all even though there must be hundreds or thousands of us congregated that morning. 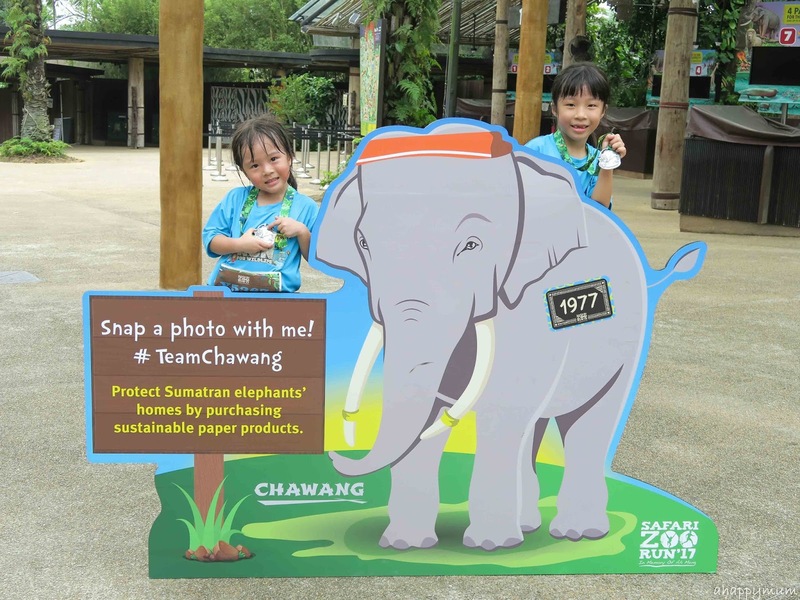 (.... she weighed 149kg when she was born!) 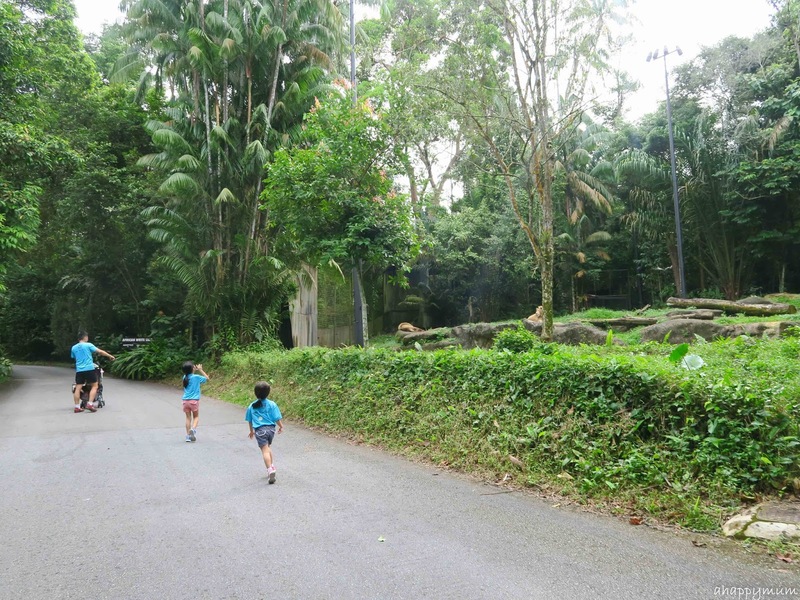 As we ran along the route, the kids would try to call out and 'talk' to the animals, which really amused me and made me laugh too. 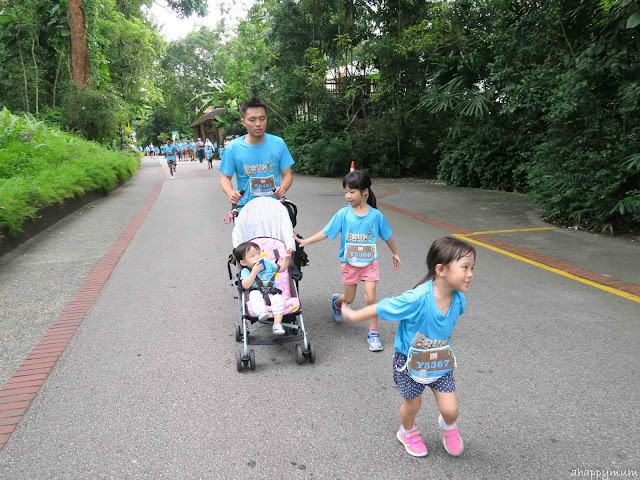 I was actually very surprised at how much the little sister ran and she was so cute as to keep singing "I won't give up, no I won't give in" when we told her to keep it up and try to continue running. Yup, that's my girl! No whining, no complaining, no carrying - just holding hands and encouraging each other to go on. 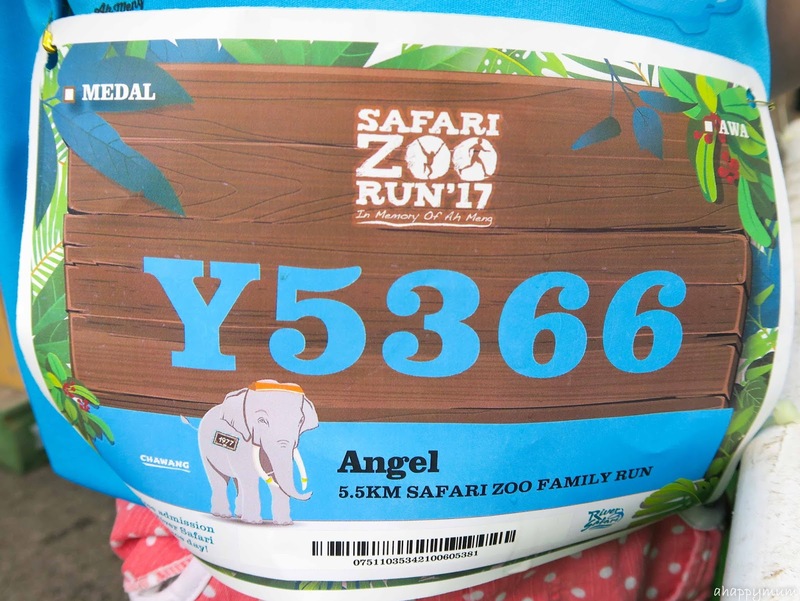 As for the big girl, well, she has a good stamina when it comes to running so I don't even think she reached her potential because we stopped so much when she could have run continuously. Still, it's all worth it for the animal friends! 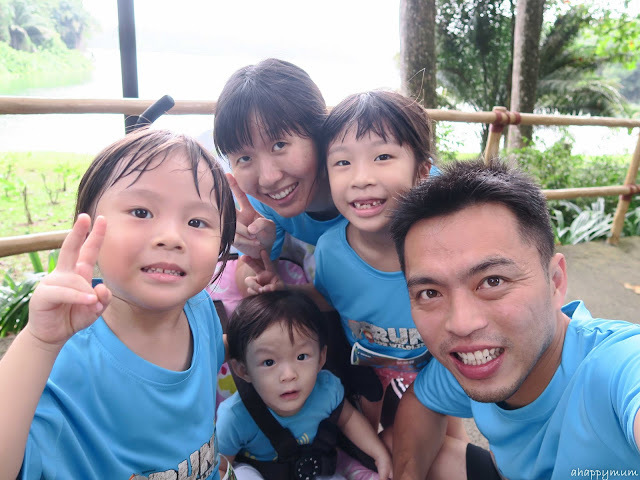 When we were running past the Mandai Lake, we had to, had to stop to take a wefie. Can you guess why? Well, this was where the hubby and I had our wedding photoshoot! Yes yes, we did it in the zoo and rode a horse carriage since it was a fairytale themed wedding. Awww, all those memories! 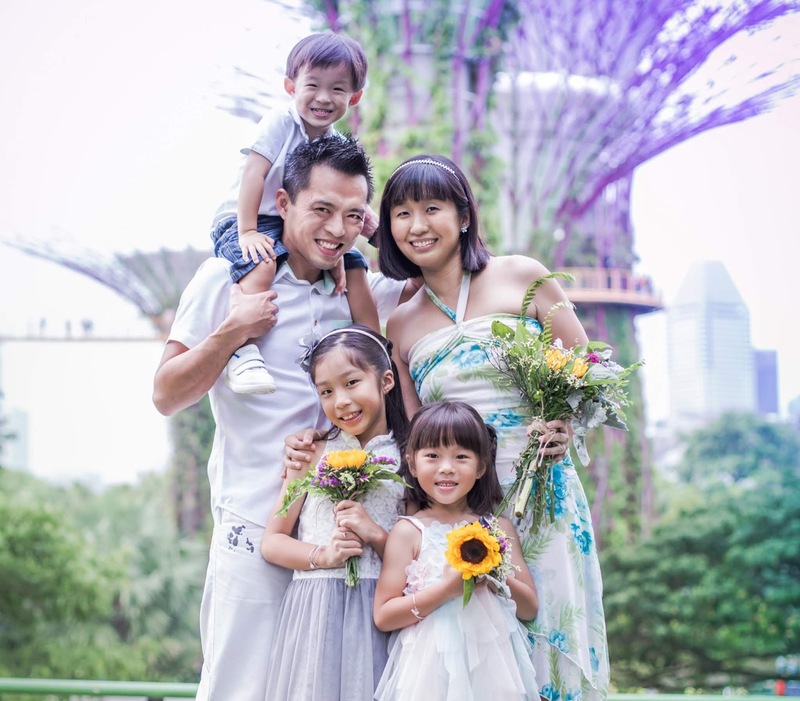 So, from then a couple to now parents of three lovely kids, that sufficed as a reason to take a family shot, right? The event was well-organised and clear directions were given from start to end. Runners were informed of which routes to take through these huge, prominent signboards along the way. 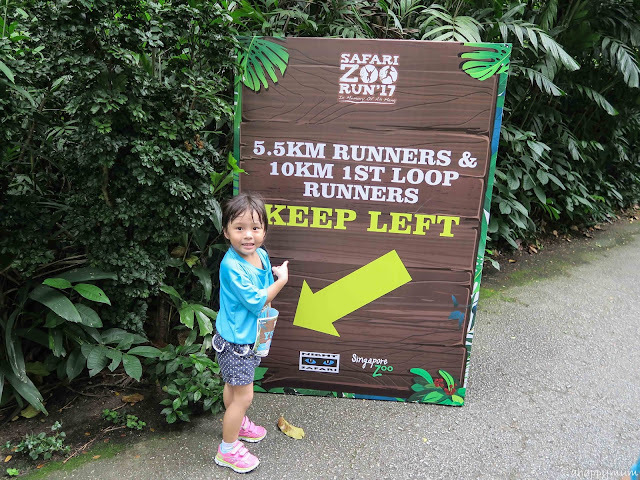 There were arrows to indicate which road to take for which race, there were signboards to shout out the distance you had covered and there were also mascot cut-outs along with the conservation messages to serve as reminders and photo opportunities for the runners. 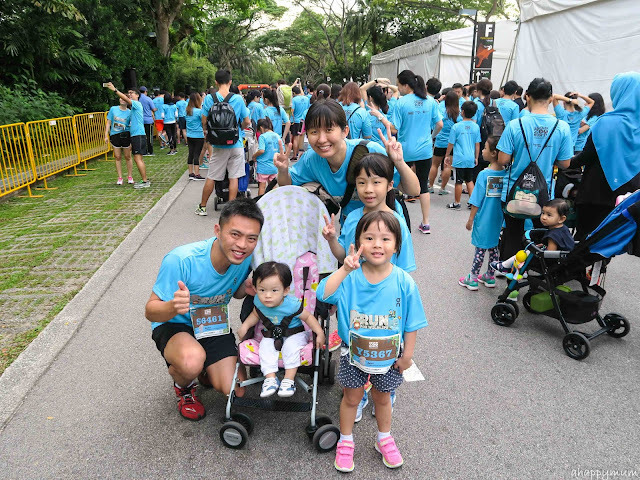 When the finishing line was in sight, which was after an hour since we started the race, we summoned the last of our strength and sprinted towards it as a family. Hip hip hooray! We did it! We made it! The kids were ecstatic to receive the medals as a recognition of their efforts and the hubby and I were so proud of them too! 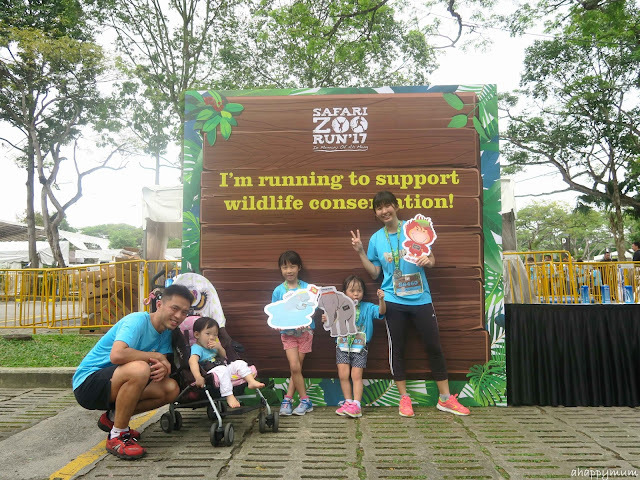 5.5km, all completed and done! I think the kids deserved a pat on their backs because I knew they really tried their best to run as much as they could and they were on their best behaviour that morning as we went around the parks too. 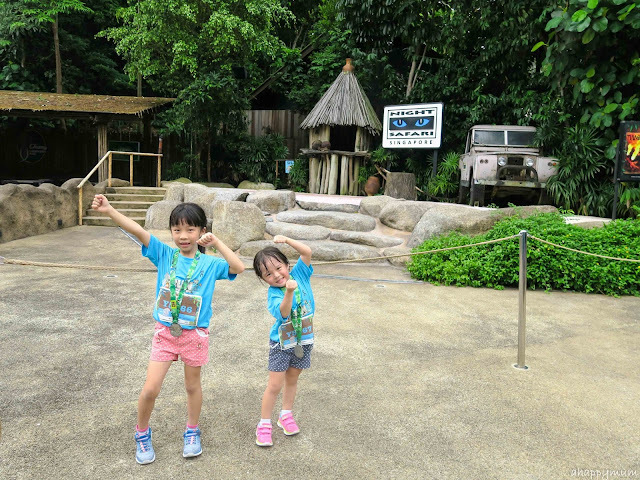 Yes, one good thing about the Safari Zoo Run is that it grants you access to the zoo and the River Safari on the same day. Not that we needed it since we have the annual pass, but why waste the day when you are already there, right? So, we headed for lunch and then spent the rest of the day exploring River Safari and the Zoo. 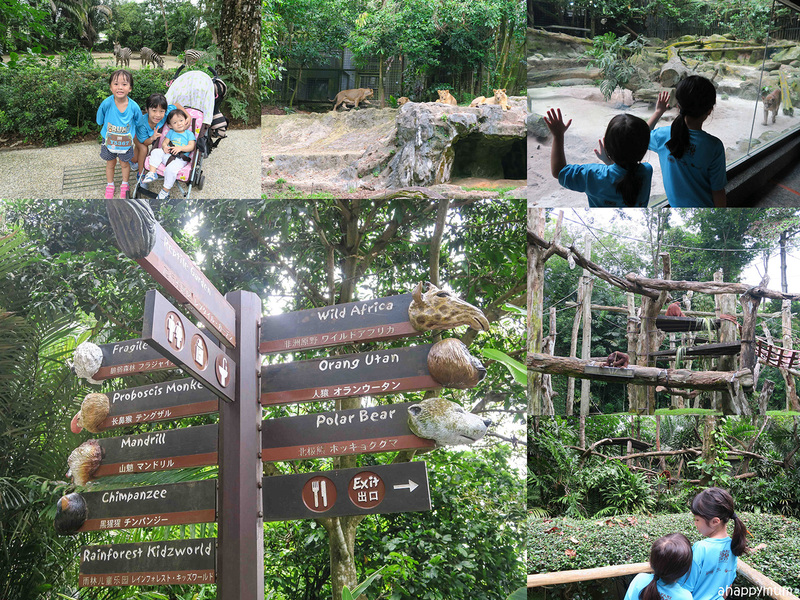 It was my first time being there alone with three kids because the tired hubby went to rest and take a nap before he joined us again in the late afternoon. 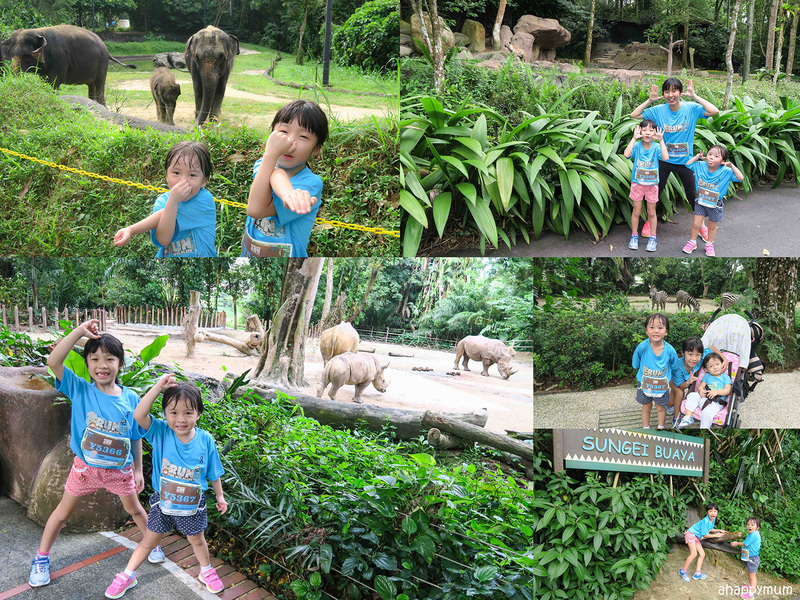 We walked the entire River Safari, came up close with squirrel monkeys, said hello to Kai Kai and Jia Jia, observed a troop of baboons in action, watched two animal shows, let the girls have a go at pony riding in Kidzworld and also went on the carousel as a family of five to end the day. 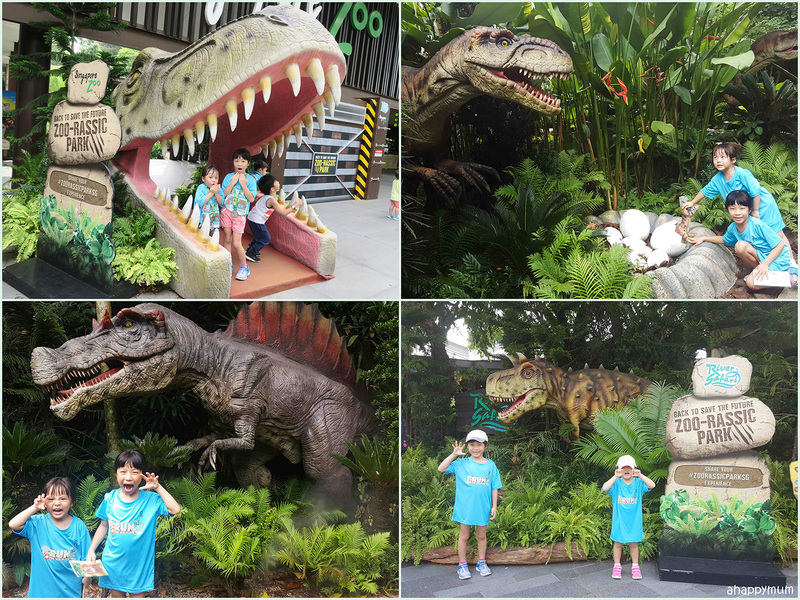 Oh, we also came up close with dinosaurs at the Zoo-rassic Park and the kids were awe-inspired to see these prehistoric creatures which could even move and interact with them! That was really rex-citing! 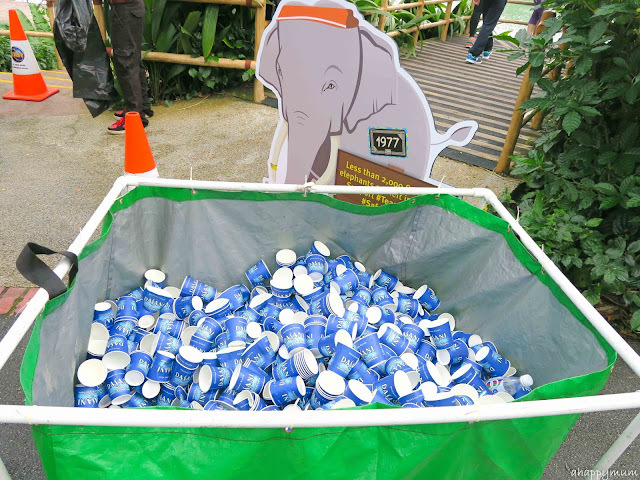 The Zoo-rassic exhibition ends on 31 March, more details can be found here. We had to reluctantly leave the zoo at 6pm because the place was closing. Yup, which meant the kids basically survived over 11 hours of being out and partaking in exhausting physical activities. 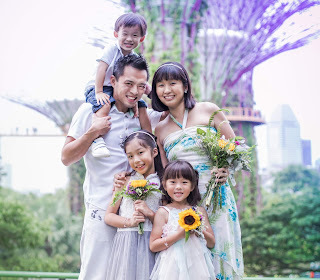 Some friends asked me where do the kids, and us, get our energy from and I'm not very sure too. I think we just really enjoy going outdoors, taking in sports activities or exploring places as a family. My strength and motivation definitely come from the kids and to see them happy brings me a sense of joy and satisfaction like no other. Thanks to the Safari Zoo Run for giving us the opportunity to do what we did and providing us with a day of fun, laughter and precious memories as a family. Till the next year! Disclosure: We received a media invite to participate in Safari Zoo Run 2017. All photographs and opinions are our own.